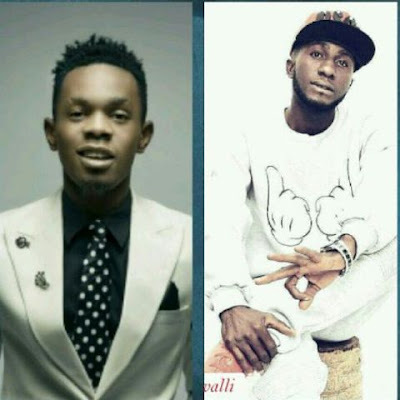 UNIBEN GIST: PATORANKING: A STAR UNDER THREAT? PATORANKING: A STAR UNDER THREAT? In recent years very few artistes have been able to hold down a particular genre in the nigeria music scene and bossed it without much ado. Even all that we were fed with mediocre pop songs and once in a while one star sprung from obscurity to catch our fancy only for them to fade away before even hitting the horizone. Talk about pin code. Just like cristiano ronaldo and lionel messi have in their own rights dominated the footballing scene and divided opinions over who surpassed the other in footballing quality , so also davido and wizkid have been kinging on the nigerian afro pop scene with minimal challenges and no real contender for their invinscible crown. It was no surprise then when patoranking came with a new sound to wow the nigerian audience. Alubarika was like a breath of fresh air. We all savored the sound and behold a new star was born. With his brand new patua style and unique voice he carved out a genre for himself. Not long after his arrival a new star was born in the person of cynthia morgan. The eccentric female performer is another artiste that has sought to upstage patoranking without much success. No doubt she is a star in her own rights but it would take a huge shift to dethrone the nigerian patua star. Finally there’s a genuine threat to his thrown. Carls Cavalli. Not much people have heard of this rising star but the few who have heard and understood his craft can boldly confirm he is under the next to blow category. And not just the next to blow his is set to take patoranking’s place. From winning EBSU rap idol to getting signed on by present label TRIPLE SOUND ENTERTAINMENT and releasing his maiden song under the lagos based imprint, this star has shown he has all it takes to be regarded as a genuine contender to the two aforementioned pop stalwarts. Not one to back down from challenges, carls cavalli has regularly honed his craft to align with modern day tunes as well as not losing touch with his natural rap flows. Perhaps we are about to witness the next upstage or is it just a fallacy?